Conversion rate optimization is the art of increasing the number of user actions, such as clicking a submit button on a website or landing page, and it can also be applied to email campaigns. The conversion is defined by a goal, which can vary from the user reaching a page in a conversion to a sale, download, registration or other action by the user. Conversion rate optimization uses a combination of disciplines from creative design and content, psychology, science and statistics to achieve the goal. The typical process starts with figuring out where the user is getting blocked from achieving the goal. Then creative elements are tested to statistical confidence. Finally, the winning design is implemented and the process starts again. The benefits can make or break a marketing campaign and for that matter a business. It is not unheard of to have conversion rate lifts of 1000% over time with continual testing. Individual tests can have lifts of a couple hundred percent, although 20% to 100% is more common. Pay-per-click ad campaign bid rates often drop when the page is converting more efficiently. This in turn drops your acquisitions cost for leads and sales. Ecommerce sites – from viewing items to adding to cart to completing the transactions. Gathering email and contact information for CRM systems and nurturing campaigns. Signing up users for trials and demos. Improving the conversion rate of email campaigns. Understanding where a typical visitor is in the sales process when they come to a site. Learning what the users are looking for in respect to products or features. Discovering the best terminology to use that the customers understand. Tapping into what is really motivating the user to purchase. Everyone has the same ability to come up with a good idea. Sometimes industry experts forget what it is like to be a user and get stuck in their ways. Just because an idea worked on one site does not mean it will work on another, even in the same industry. All ideas must be tested. Leave your ego at the door. Just because you like a particular design or you came up with the corporate identity and the new design suggestion goes against it, or everyone else is doing it this way, does not make it the best choice for your users/customers with that particular ad campaign at that particular time. 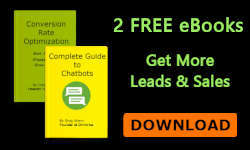 The bottom line is: Does the new design get more quality leads and/or sales. 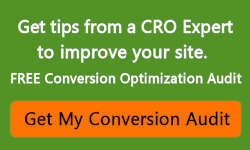 Are your goals increasing in conversions? Be prepared to be surprised by your surveys, user metrics and test results. Laugh at yourself and learn when results do not work out the way you thought they would. They are just as important as when they do. The first step in optimizing conversions is to understand your current baseline. Once this is established the goal is to improve it. There are many types of metrics and Key Performance Indicators (). Some contain only one data point, and others have multiple data points, which represent the overall health of the business system. Always keep in mind there can be multiple variables that affect a metric, such as the type of device users are on, how they came to the site and what their expectations are. You can get information overload by gathering data to the point of analysis paralysis. So first think about what is the best way to measure your success. When the numbers do not make sense, then you can dig down into more data to find the problem. Conversion Rate – How many users completed the goal for the page or site. This can be looked at two ways: the number of users on the page that converted and/or the number of total site users that converted. Conversion Rate by Device – Often the design for the desktop, even when made responsive, will have a different conversion rate on mobile. If the site has a significant percentage of mobile users, the data has to be optimized by device. Often one device will be positive while the other is negative, which skews the total result. Bounce Rate – The percentage of users that leave the page without interacting with it. You can break this down to users that went to another page and users that left the site from this page. Page Engagement – Time spent on a page and how many clicks per user on the page. Registrations – Registrations can be an event or course. 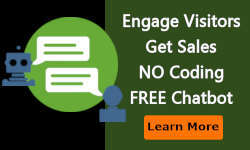 Email Opt-In – Gathering of email and other contact information to be used in telesales or email nurturing campaigns. Navigation – How useful is the navigation? Are all the buttons being clicked or only a few? Page Views – How many visitors are getting beyond the home page and how deep are they going in the site? Number of Returned Visits to the Site. Brand – Brand can be measured with pop-up surveys that ask one question. When done over time, the perception of the company, products or services, and/or the website can be tracked. For example, you can measure how clear your message is, if visitors really understand your benefits, and if the visitor would recommend it. Cost Per Conversion – How many ad dollars did it take to get a conversion? Cost Per Sale – How many ad dollars did it take to complete the sale? This can also be looked at as how many trials or demos does it take to make a sale. Lifetime value of a Customer – This is especially important for SaaS businesses. Measuring their value in revenue and how long they stayed a member are both important. Average Order Value (AOV) or Purchase Value (APV) – This can be improved by suggesting other related products and showing what others have purchased. Cart Abandonment – Putting items in the cart and never checking out. There is always cart abandonment. The goal is to get the visitor to buy the first time, and if not, to be reminded and come back to buy later. Checkout Funnel– There are many areas of an ecommerce system to track such as added to cart, edit cart, coupon codes, shipping, checkout and confirmation. Wish Lists – The number of items in a wish list and the number of items purchased over time from the wish list. Testimonials and reviews – The numbers of testimonials or product reviews per product. The conversion rate of your site or page has many variables, such as the quality of ad traffic coming to your site, the device they view the site on etc. That said, a 2% overall site conversion rate is normal. That is conversions/total visitors. A specific page like a trial page or landing page has its own conversion rate, usually starting around 2% and can be as high as 50%. Most good landing pages are in the 5% to 15% range.